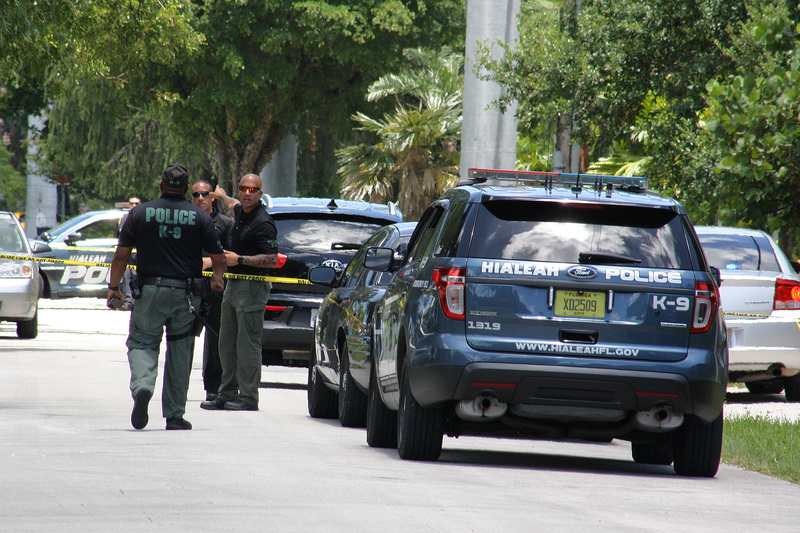 Two burglary suspects were shot and wounded today (Wednesday, July 6) around 1:30 p.m. by Hialeah Police officers after the suspects vehicle tried to run down undercover detectives in the 1200 block of Heron Avenue in Miami Springs. According to Hialeah PIO Sgt. 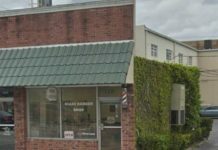 Carl Zogby, the incident began in Hialeah where undercover detectives in unmarked vehicles began following a white 4-door Nissan with two adults males who had been suspects in a string of home burglaries. Detectives wanted to catch the men in the act. Police said the men cased a few homes in Hialeah and then crossed the bridge into Miami Springs and began cruising the Birds area. Hialeah Police asked Miami Springs Police to avoid the area until further notice. 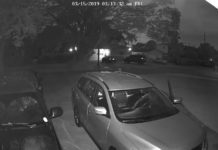 The suspects eventually burglarized an unoccupied home in the 1200 block of Partridge Avenue; however, their getaway car was parked in the 1200 block of Heron Avenue, almost directly across from the rear of All Angels Episcopal Church. Hialeah Police said as the suspects fled in the Nissan, they tried to hit undercover officers and detectives fired handguns at the driver. With bullet holes in the drivers side window, the getaway car managed to make it to the 6600 block of Northwest 36th Street, directly in front of Boeing, in Virginia Gardens, before driving onto the sidewalk and giving up. One of the suspects had been shot in an arm and the other had a bullet wound in his stomach. Both were taken to JMH. Their injuries were not deemed life-threatening. For about an hour, traffic was blocked on Northwest 36th Street in both directions. In the meantime, dozens of Hialeah officers, crime scene investigators, and command staff converged on the area where shots were fired because of procedures required for an officer-involved shooting. 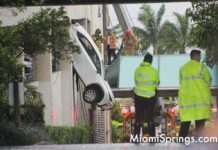 During the event, Miami Springs Police supplied backup, handled detours, supplied K-9 teams and investigated the burglary. The getaway vehicle of two burglary suspects was stopped by police in the 6600 block of Northwest 36th Street. 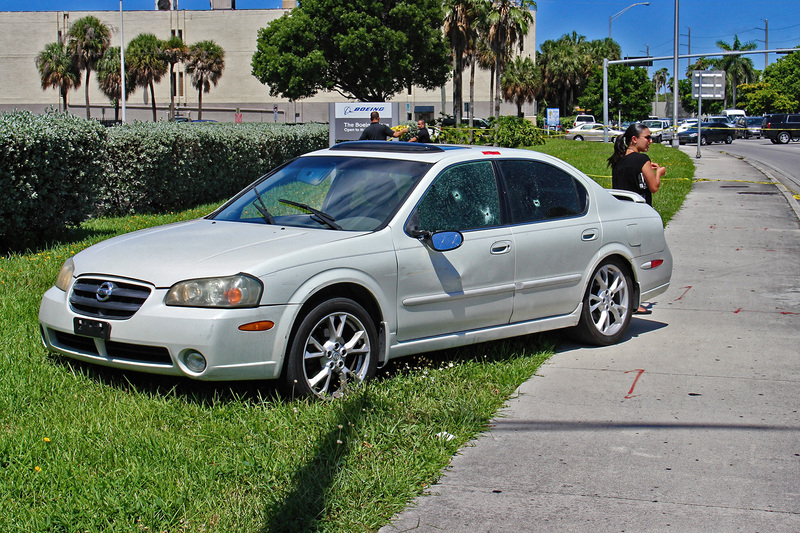 Both men in the car suffered non life threatening gunshot wounds from shots fired by Hialeah detectives. Hialeah Police had followed the men into Miami Springs where they burglarized a home in the 1200 block of Partridge Avenue and police said the car tried to run over officers while fleeing. No officers were injured. 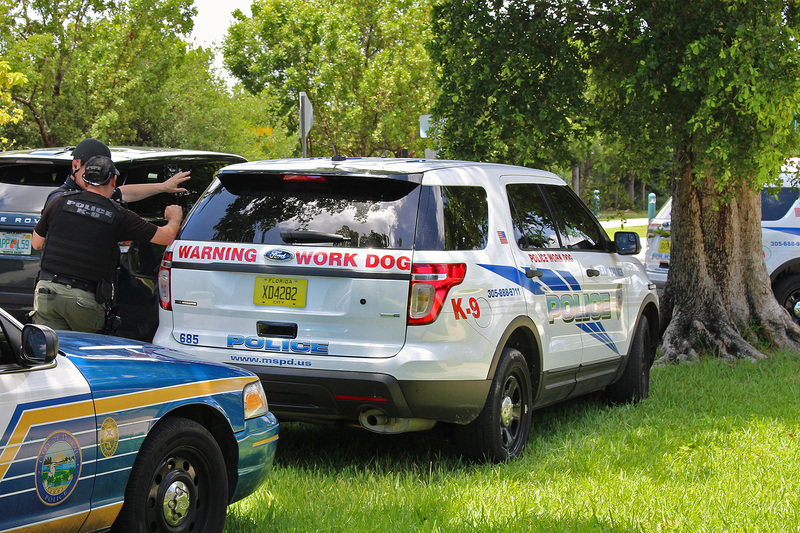 Both Miami Springs K-9 teams assisted Hialeah Police in searching the area where a burglary and shooting occurred near Heron and Partridge avenues. Dozen of Hialeah Police officers flooded the area where undercover detectives were involved in a shooting while trying arrest two alleged burglars.